RALEIGH – Elizabethtown resident Dan Allen was recognized for outstanding service Friday evening during the 2017 Miss North Carolina and Miss North Carolina Outstanding Teen pageants. Winning awards in this year’s preliminary competition for Miss North Carolina were: Miss Greater Sampson County, Victoria Huggins who earned the Talent Award and Miss Randolph County, Laura Matrazzo, was awarded the Lifestyle & Fitness Award. In the Miss North Carolina Outstanding Teen competition, awards were as follows: Miss Gastonia’s Outstanding Teen, Savanna Mayes, received the Talent Award and Miss Queen City’s Outstanding Teen, Marissa Garrison, earned the Evening Gown and Onstage Question Award. The Miss North Carolina Organization also took the time to recognize several of its volunteers for their service. The following volunteers recognized: Harold Garner, Delores Cox, Wayne and Janice Edwards, Deanna Barnhardt, Elaine White, Anita Bane, Mary Catherine Berube, McNeil Chestnut, Wayne Hicks, David Clegg, Beverly Adams, David Ward, and Kay Dickinson. Dan Allen, of Elizabethtown, was awarded the Outstanding Service Award for his dedication to the Miss North Carolina Organization. 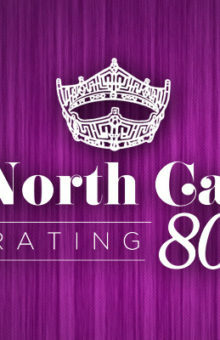 *Charlie Morrison, Miss NC Lighting Director, was honored for his 25th year of involvement with the Miss NC Competition. *The Outstanding Local Production of the Year was awarded to Jeff Jones and Jon Vance of the Miss Asheville/Blue Ridge Valley/Hendersonville pageant. *The Local Preliminary of the Year was awarded to Heather McManus of the Miss Fayetteville Organization. *The North Carolina Educational Scholarship Fund presented Laura Matrazzo, Miss Randolph County, the Spirit of Miss North Carolina $1,000 scholarship. The Outstanding Teen competition will conclude with the crowning of 2017 Miss North Carolina Outstanding Teen today (Saturday, June 24) at 2 p.m. Miss North Carolina 2017 will be crowned at 7 p.m. live on ABC11 and ABC11.com.